The NASA Ames Research Group investigates "extraterrestrial materials and [is] especially interested in the formation, distribution, and fate of organic compounds (comprised primarily of carbon, like those in living things)." 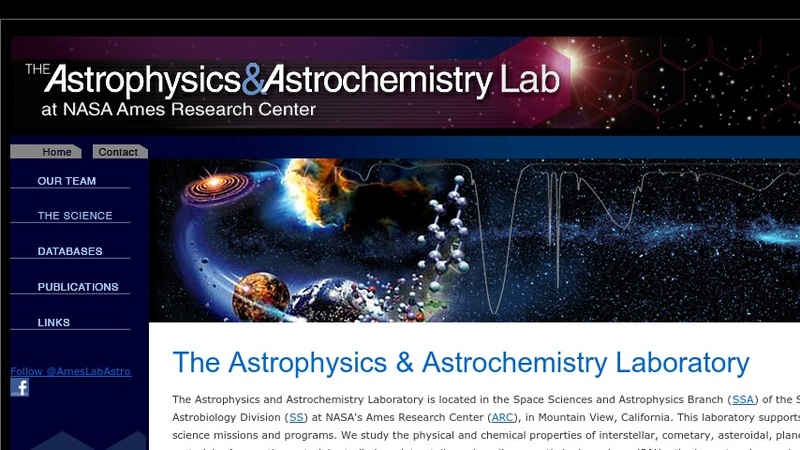 Users can discover the latest astrochemistry news and the Group's many missions such as Stardust, Spitzer, and Genesis. Students and educators can find informative explanations of the Group's research interests and its contributions to the field of astrochemistry. The website allows users to search the Group's publications by date, subject, or author. Researchers can find information on how to access the online database of Polycyclic Aromatic Hydrocarbon Infrared Spectra.